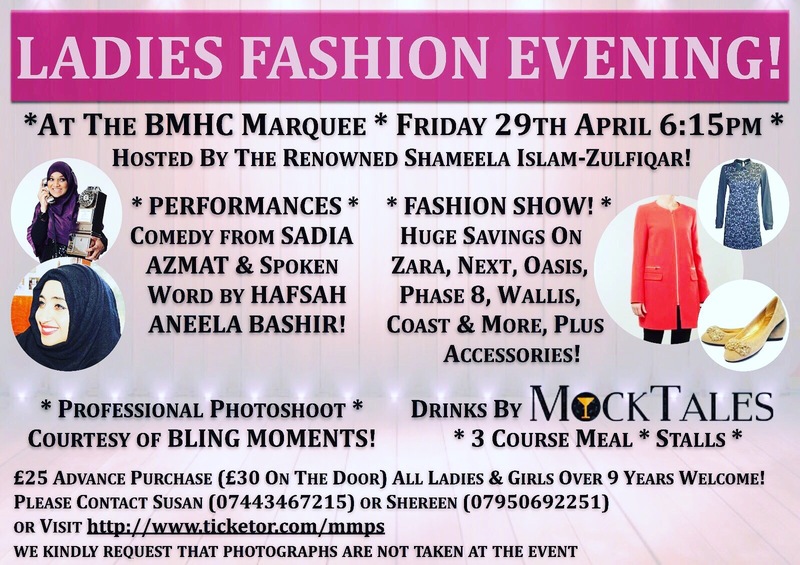 This entry was posted in Uncategorized and tagged art, BMHC, charity, comedy, culture, DR shameela zulfiqar, fashion, poetry, Sadia Azmat, sisterhood, spoken word on April 29, 2016 by Hafsah Aneela Bashir. 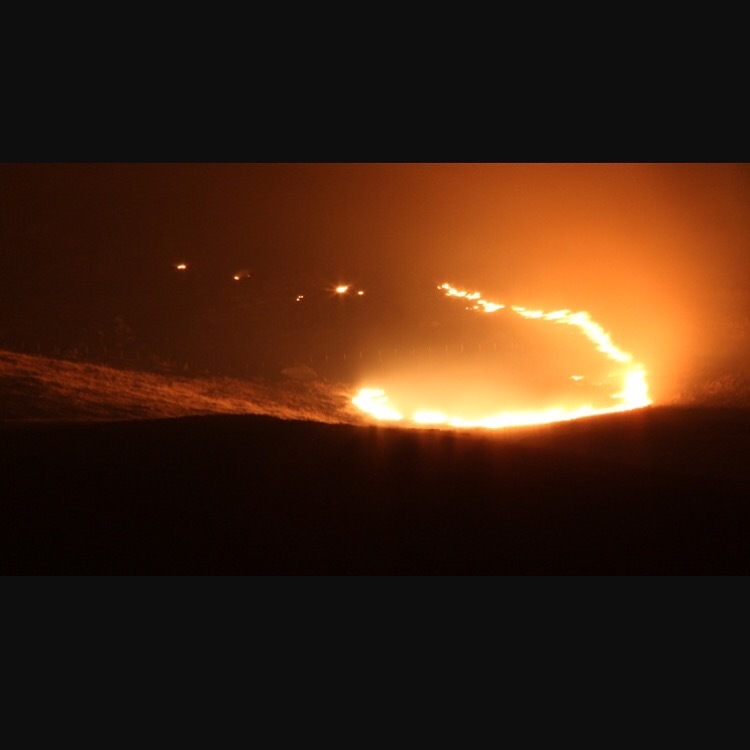 Prince is dead, Dovestone’s on fire, a million love stories now burnin’ on pyres….. This entry was posted in Uncategorized on April 22, 2016 by Hafsah Aneela Bashir. I forgot to write last week and tell everyone that my usual teaching class of Syrian refugees did not turn up after a two week holiday except one very dedicated older woman. I love her passion to learn and she’s one of those who will try, try and try again if she can’t articulate a sentence the first time round. We decided we would practice spoken English which she was delighted to do telling me she doesn’t get to practice at all. While shopping, she said no one talks to her and she has no neighbours to converse with. Through my two hours with her, I learnt this woman travels an hour from Wilmslow on public transport to come and learn with me at Rethink Rebuild. She has been living here for a couple of years now on her own but has a daughter living nearby. One here, one in Europe and one in Asia. Her brothers are in Abh Dhabi and Dubai. A whole family like many others torn apart by war. Their only communication is via Skype. We sat in silence for a while taking in what that means. Months and years of not seeing each other except through pixilated images on cold screens. I asked her how old she is and she told me to guess. I assessed her light brown short hair against her pale softly wrinkled face and said 60. She laughed out loud and said, ‘We must to kiss you!’, and told me she’s 70. She looked up with fondness, eyes all lit up as I asked her how she met her husband. She told me they studied medicine together and that they both graduated from Bulgaria University in 1972. I made her describe him in English. ‘First he was skinny when young and not married but then-‘, she gestured a ballooning motion over her stomach. We both laughed. Then she quietened and thoughtfully said that there is no country like Syria. No other country being affected the way her country has been. She tried to tell me about the prisons but said, ‘I can’t think about what happens there’ and choked up saying ‘the treatment is worse than for animals’. I reassured her I would look into it. I asked her how she thought the situation in Syria would ever be resolved. ‘When Russia, Israel and America stop interfering. And Daesh are removed. They are not muslims. Our Prophet lived side by side with Jews and was kind and peaceful. Not like Daesh -‘, she motioned a hand sweep against her neck gesturing a mock beheading. ‘That is not Islam’, she said. To end the session on a high note I asked her to describe her favourite foods. She said, meshi- stuffed aubergines and kubeh labaniyyah. I said repeat that in full sentences! She proceeded to teach me how to make a syrian dish using kishk – you can buy this like a powder apparently. Our conversation ended too quickly and it made me wonder how often do we take the time out to listen to the narratives of people outside our comfort zone? How often do we make the effort to get away from the single story we are fed about a community or group of people to truly connect with them as individuals? “O Mankind, We created you from a single (pair) of a male and a female and made you into nations and tribes, that you may know each other. Verily the most honored of you in the sight of God is he who is the most righteous of you” (Quran 49:13). This entry was posted in Uncategorized on April 18, 2016 by Hafsah Aneela Bashir. 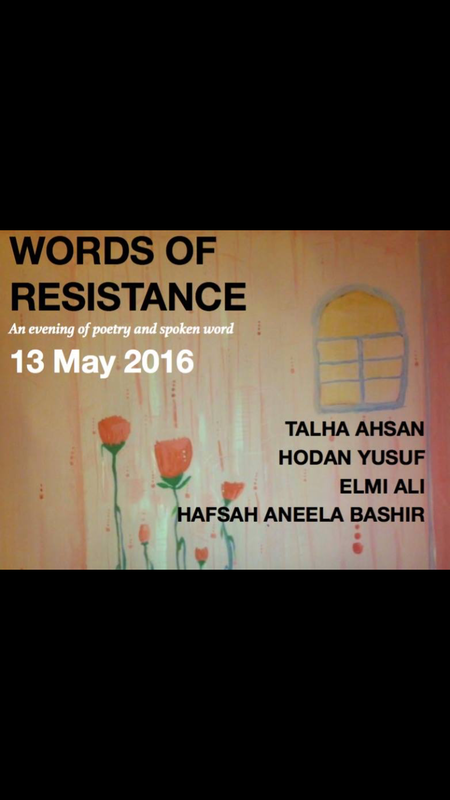 Delighted to be part of this poetry evening in York on Friday May 13th 2016 with fellow poets Talha Ahsan, Elmi Ali and Hodan Yusuf. This entry was posted in Uncategorized and tagged elmi ali, hodan yusuf, identity, race and racism, resistance, talha ahsan, words on April 8, 2016 by Hafsah Aneela Bashir.